What a nervy burden it is to review a novel by a famed literary critic. Wood is the English-born, American-based critic of The New Yorker. 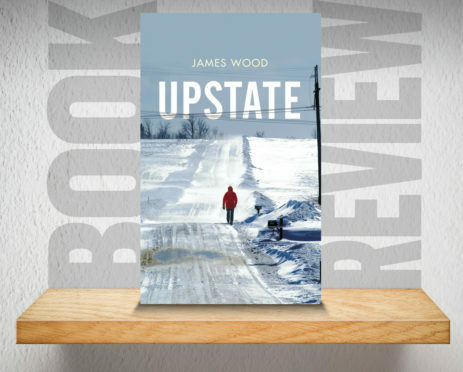 His novel, like his life, straddles northern England and the US, and is set across six wintry days in upstate New York. Alan Querry, a property developer, has flown there with one daughter to visit another. Helen, a record company executive, arranges the trip because she is worried about Vanessa, who teaches philosophy. Van, who has been mentally fragile before, recently broke her arm in a mysterious fall. Is she OK or not? And is her new younger lover good for her? Wood’s insightful novel is short but deep, possessing the openness of a short story. His characters have lived before you meet them, with a troubled childhood for the ‘girls’ thanks to an acrimonious divorce and the early death of their mother; and they live on after the last page. The writing is beautiful, the location snow-crunchingly real, and a vague note of menace thrums as Querry is momentarily born again in the company of his grown-up children. A clear-eyed novel about family, and a quietly engrossing read.